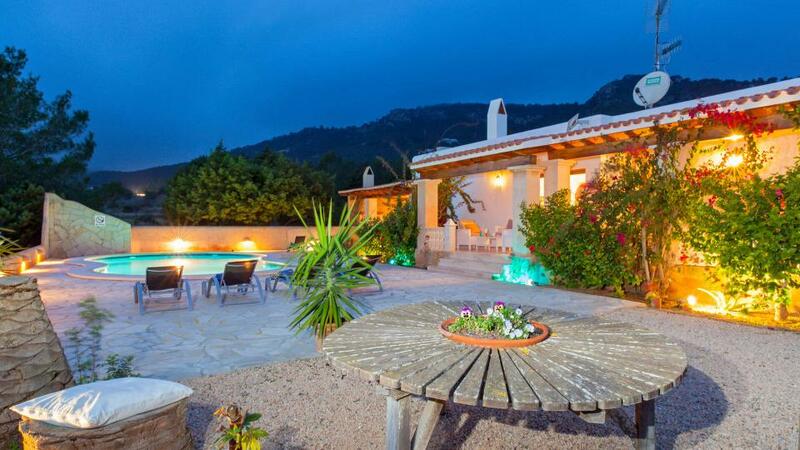 Superb villa, completely renovated in 2016, with high quality finishes and furnishings, tastefully decorated. Room, 1st floor. This bedroom has 1 double bed 200 cm. Bathroom ensuite, With shower. Suite, 2nd floor. This bedroom has 1 double bed 200 cm. Bathroom ensuite, With shower. This bedroom includes also private terrace. Room, Garden level. This bedroom has 1 double bed 200 cm. Bathroom ensuite, With shower. Dining room, living room with fireplace and fully equipped kitchen. The kitchen has a high-end equipment including: Smeg Induction cooker, large fridge, microwave, Nespresso coffee machine plus a filter, dishwasher, and many other appliances. 2 summer lounges facing the pool. A superb summer kitchen area under a wooden porch with: professional barbecue, sink, two outdoor fridges, complete crockery, large table. Pool terrace furnished with deckchairs and armchairs. Beautiful well maintained garden with typical plants of the Mediterranean. Sand corner with 2 sunbeds and parasol. 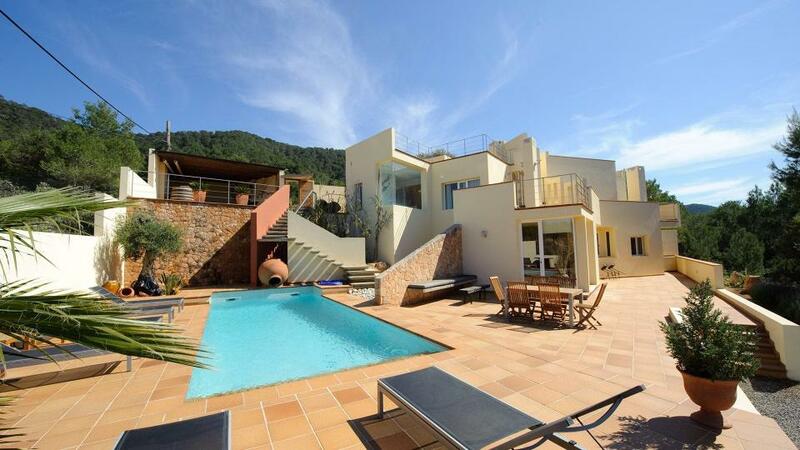 Located in a very quiet residential area, on a hill near the beach of Cala Tarida (2.7 km). Other beaches of the West Coast are at a driving distance of between 5 and 15 minutes such as: Cala Moli, Cala Vadella, Cala Carbo, Cala D'Hort, Cala Conta, Cala Conta, Cala Conta. The village of San Jose where you will find all kinds of shops and businesses is 6 minutes away. 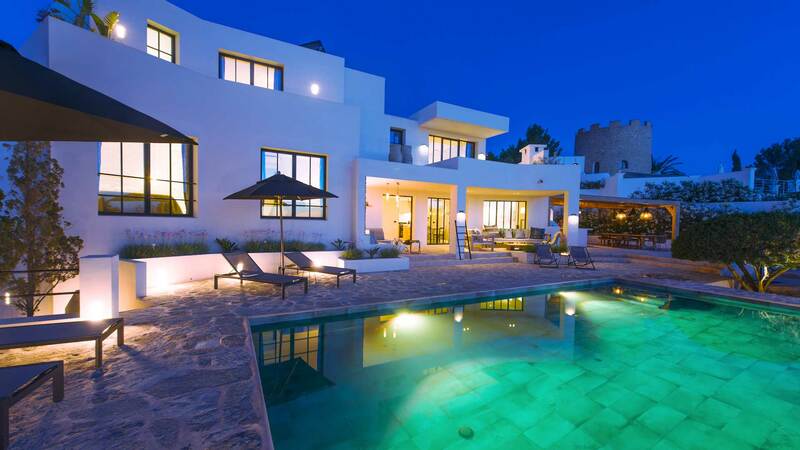 During the summer months, the sunset is right in front of the villa. Land of 1.200 m2 and house of 300 m2.